My CV. Last updated: 03/13/2019. RA positions available: I am looking for self-motivated PhD students who have strong interests in system security. If you are interested, please don’t hesitate to contact me! More information can be found here. – Mar. 2019: Work about DNS interception selected to be presented at OARC 30. – Feb. 2019: One paper accepted by EuroS&P’19. – Jan. 2019: Serving the program committee chair of Security in Machine Learning and its Applications (SiMLA 2019), a workshop co-located with ACNS 2019. Please submit your works! ​- Nov. 2018: Invited to serve the program committee of ACM CCS 2019. Please consider submitting your works. – Nov. 2018: One paper accepted by NDSS’19. ​- Oct. 2018: Joining UCI EECS as a tenure-track Assistant Professor. ​- Aug. 2018: Two papers conditionally accepted by ACSAC’18. 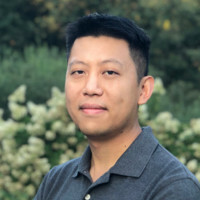 I am a tenure-track assistant professor in the department of Electrical Engineering & Computer Science at University of California, Irvine, with the focus on system security. I joined UCI EECS in Fall 2018 and I’m also affiliated with UCI Center for Embedded and Cyber-phyiscal Systems (CECS), UCI Cybersecurity Policy & Research Institute (CPRI) and UCI NetSys. Before that, I was a principal research scientist at RSA Laboratories, working on security analytics. My research has been successfully integrated into RSA products. My works have been reported by news media like NYTimes and awarded by research contests like NYU Best Applied Security Paper. Data-driven security analytics. My research in this direction focuses on how to automatically identify cyber-attacks from large-scale operational logs (e.g., web proxy logs within an enterprise). Many machine-learning models have been developed to counter different techniques of cyber-attacks ([DSN’15][SecDev’16][CCS’16][ACSAC’16][RAID’17][ACSAC’18a]). Internet measurement. By leveraging the large-scale Internet data collected passively and actively, my research helps our community gain deeper understanding about the security issues of Internet infrastructure (e.g., DNS [Security’18], domain registration [CCS’17][DSN’18], domain parking [Security’14], online advertising [CCS’12] and residential proxy [S&P’19]) and cyber-criminals’ strategies (e.g., blackhat SEO [Security’16], keyword abuse [S&P’17] and typo-squatting [S&P’15]). Side-channel analysis. I’m interested in discovering security vulnerabilities, in particular regarding how private information (e.g., PIN number) is leaked through software and hardware side-channels. My research discovered new types of leakage inside mobile devices ([S&P’16][Security’17]), wearable devices ([CCS’15]), web applications ([CCS’10][TWC]) and GPU ([PETS’17]). IoT security. Recently, I start to work on this direction, with focus on studying the new privacy issues introduced by smart-home devices, and new vulnerabilities in the IoT software and hardware stacks ([NDSS’19]). ​[Security’18] Who Is Answering My Queries: Understanding and Characterizing Interception of the DNS Resolution Path. [CCS’17]​ Don’t Let One Rotten Apple Spoil the Whole Barrel: Towards Automated Detection of Shadowed Domains. ​​[Security’17] Picking Up My Tab: Understanding and Mitigating Synchronized Token Lifting and Spending in Mobile Payment. You can also find me at Google Scholar, DBLP, ResearchGate, LinkedIn and Twitter.